Read to what some of our students have to say about studying at Fashionista - The School of Fashion Technology. 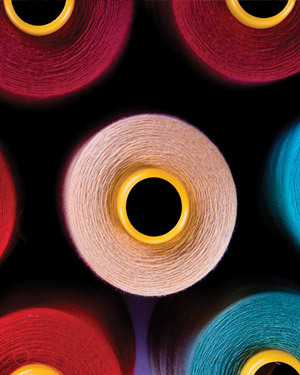 Fashion Technology & Research student worked as an intern in Shahi Export. I feel so grateful that I am a part of fashionista family. I have learnt a lot from the faculty and respectable M.D of fashionista. I have been a part of fashionista fashion fest for 3 years and I learnt a lot about the process and hardships that takes to represent my design language on the ramp. Fashionista gave me my biggest opportunity from the start of my career by allowing me to showcase my design in India runway week. It really boosted my morale. I also worked with crew members’ backstage operation with was tough but a real learning experience for me. Took part in every creative event in my college. Then I went to Shahi Exports for my designer internship and I went all in. Learn about styling with moet brar stylist and assisted moet brar for exclusive Designer shoots. I assisted shoots for JJ Valaya - Mahima Mahajan and also styled celebs like Ranbir Kapoor, singer Mikka Singh, Badsha, Arti Chabria and Khalid Sidique. After taking experience I opened my own pret store HS Lifestyle. It was great experience and I have learned a lot from Fashionista. Joined as intern in Shahi Export. My experience was really nice with Fashionista. I got the exposure of fashion shows because of Fashionista only. They have best faculties to deliver us knowledge. Joined as intern in Shahi Export. Provide great opportunities to explore in various segments of the industry. Thanks Fashionista for opportunities thrice in FDCI and many more like IRW, Delhi times showcase week etc...! Joined as intern in Shahi Export. Amazing institute amazing exposure given to us. Joined as intern in Shahi Export. Fashionista is as good as I wanted. Joined as intern in Shahi Export. It’s a great knowledge provide here by our faculty and I enjoyed every single thing here. Worked as intern and now employed with Shahi Exports. My experience about Fashionista is very good and teachers, education everything is awesome. Working with Tommy Hilfiger. Faculties are good and Institute is nice. Learnt a great deal frm Fashionista n helped me to be a better fashion designer. Working at Jabong as stylist. Thanku Fashionista for nurturing me to attain this. The faculty are very co-operative and overall good experience. I learnt a lot in Fashionista which is helping me a lot in my future. I am thankful to Fashionista for giving me this opportunity to work as an intern in Matrix Clothing. Being in Fashionista was the best experience as it made me a better person & also shown me the path of success. Best of knowledge about fashion world is provided by Fashionista and Faculty is so co operative and best according to me. I had a great experience studying in Fashionista. Currently working at wild child as assistant designer. Fashionista taught me to use my creativity in its best possible manner. It provided me with the best educati0on I could even think of. I have started with my own label by the name of ARK couture. My experience in Fashionista was good. 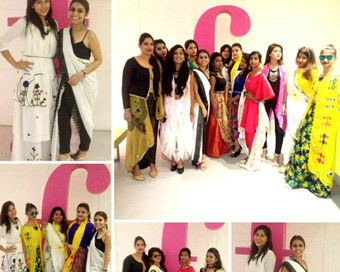 The faculty is very helpful and it’s a very friendly environment in Fashionista. I am working as a freelancer in the fashion industry. I have learnt a lot from this Institute. Faculties are very understanding, caring and they motivate the students to reach their goals. I am happy to be a part of Fashionista. I have opened my own label by the name of “LABEL TRAPZ”. Nice teachers, Very supportive and understanding. Working at theme exports. Studying in Fashionista was like being in very friendly atmosphere. Teachers are nice and co operative. Got an opportunity to work with the merchandising department of Theme Exports. One of the best, coolest, super-amazing faculty filled colleges in Delhi. Fashion at its best. Annual Fashions shows like nowhere else .it’s a runway to your dreams :-). Very nice faculty and good study experience and good exposure towards fashion shows. worked at Utsav fashion ltd. Working in SR INTERIOR. Thank you Fashionista. M Glad that I could use all my knowledge and exposure given by my college to start with my own T-shirt Printing Business. Running my own boutique in the name of “PUTS EXHIBITION” thank you Fashionista for giving me quality education and excellent opportunities because of which I am now a proud owner of my own brand. I have learnt a lot from this Institute. Faculties understand, caring and they motivate the students to reach their goals. I am happy to be a part of Fashionista. I am doing internship in Shahi Export House. Now working as Free Lancer Fashion Stylist. I worked as an intern at Iconic in Vasant Kunj and doing job under Heena Kochar. I had an awesome experience with Fashionista. They give me maximum opportunity. Faculty is very good. They always help their students. This is an awesome institute. And I’m blessed to have them. I worked as an intern at Iconic in Pacific Mall and doing job in Shahi Export House. Fashionista is a great institute and I have a lot from here, they encourage me to lead and I am very thankful that I am a part of Fashionista. 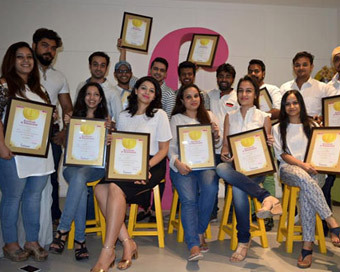 I worked as an intern at Iconic in Vasant kunj. Fashionista journey is my best achievement of my life. Very positive and motivating and encouraging experience I had with Fashionista. Fashionista is our success ladder. I worked as an intern with Reynu Tandon. Good, Excellent, Brilliant, Fantastic. I worked in Amazon Fashion Week under Rajesh Kashyap & now doing working in Moon Stitches. Journey in Fashionista is full of learning, happiness and joy all at the same time. 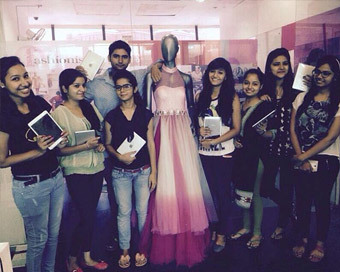 Learning gets more interesting where faculty and students share a great bond, which I experience in Fashionista. I worked as an intern at Iconic in Vasant Kunj and Levis in Ambience & now I have opened my own Brand as H.S LIFESTILE. Had a great experience, I learnt a lot. I worked as an intern at Van Hausen in Pacific Mall. My experience has been good and I am very happy with the faculty as well. I have great teachers. The faculties are understanding and supportive. Got lot of exposure to the Fashion Industry. My life in this college was so good. I learnt a lot from Fashionista. Faculty always motivated us. I am very happy to be a part of Fashionista. Fashionista is place where I learnt a lot. 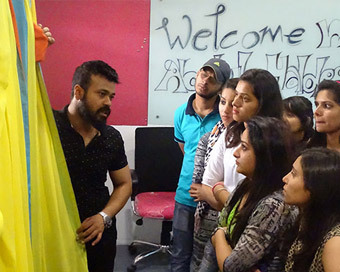 All the teachers are good for me they made me fully trained for the future about the designing specially Nidhi Ma'am. MD Ma'am is the main person who encourages me so many times for my study and my future, because of that today I am on my track. Thanks to her, Nidhi ma'am and all teachers. Will miss these days. Incredible Fashionista. I got the inspiration of "aashiyaboutique.com" (shopping cart) from Fashionista. I am glad that my teachers supported me all the way long and guided me to be what I can be in future. Thank you Fashionista. Being in Fashionista was the best experience as it made me a better person & also shown me the path of success. Fashionista has also motivated me for dedicated career. 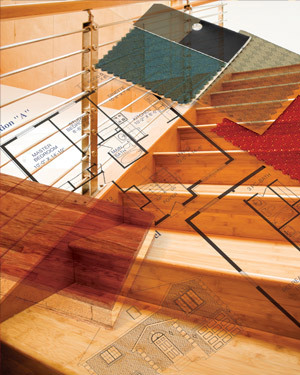 Achieved skill and knowledge regarding Architecture, Interior Designing and beyond. Gained creativity and ideas through class lecture, class work and projects. The best experience which made me a better person with a best learning experience. Feels great and happy to be in Fashionista. It gives my future good wide open and there is no feeling of regrets that I educate from this Institute. It was wonderful and happiest place to learn. Nice Teachers, Good Memories. I have started my own studio. Good and extremely fabulous experience at Fashionista. Currently employed at Chhabra Trading Company Ltd. As a Designer. Fashionista has always been very co-operative with us. I own a boutique today, all because of Fashionista. Fashionista is a good institute. I learnt a lot of things. They Provide placements to all students. Today, I am working in an Export House as Assistant Merchandiser, all because of Fashionista. V. Good experience to study over here. Very nice staff and teachers. They motivate us at every stage to do well and made sure that each one of us gets placements. Working in Theme Exports Okhla. Thankyou Fashionista..! Because of you, I am working in Shivalik Prints Ltd. Thank You Fashionista..!! Fashionista is the best institute. I had good experience here. I learnt a lot from here. They provide very good exposure to the students. I have got a good job from here. I am working as designer in an Export House in Noida. My College is very nice. I have studied 3 yrs here. All my teachers are very nice. Currently working in an export House. Very Very thankful to Fashionista and MD ma“am…! I have got the best faculty in Fashionista. They taught me best way of fashion tools. Teachers are co-operative and supportive. A journey from being a student to an upcoming designer Fashionista has given me support, shown a guiding path for success. Fashionista has also prepared me for my life outside my career. It’s been great to be a part of Fashionista and feels like a family with lots of fun loving teachers and best of friends. It has given me a great opportunity to learn and more to be a better person in life. I have a very wonderful experience with Fashionista. Teachers are very cooperative and very helpful. I have learnt a lot from this Institute and teachers are well educated and experienced. Did my internship in Shahi Exports. I am really thankful to Fashionista. Today I am a part of a dream which I used to just imagine to design. There are so many people to inspire, to motivate for work. Now I opened my own store in Dwarka. Good learning environment & faculty and motivated me to achieve my goals. Working in B.L Trading as an internee. I have a very wonderful experience about Fashionista. Teachers are very co-operative & helpful. The experience was great. Got complete support of the faculties. The methods of teaching were really nice & interactive. I have learnt a lot from this Institute, the environment is very good supported me a lot. Did internship in SatyaPaul. The Fashionista Faculty is class apart. They have help me a lot in polishing my fashion skills as well as in giving a direction to achieve a goal. Exposure is also very good. Currently working as assistant designer with Ms . Reynu Tondon. I am totally satisfied with Fashionista & their facilities. Great learning experience & such a hard working teachers. Thanks for giving me this great opportunity to work with Designer Reynu Tondon. It’s been a wonderful journey learning about fashion & discovering myself. Faculty is really amazing. Teachers are helping & supporting. I got to learn a lot about fashion in 2 years. Currently doing my internship. I am glad that I am pursuing fashion from Fashionista. We have got good knowledge about fashion from Fashionista. Fashionista give us a good platform. Currently doing my internship. Thank you Fashionista. Good experience. Teacher is very helpful and whenever I faced any problem related to study my teacher helped me a lot and cleared all my doubts so I can say my experience is good. 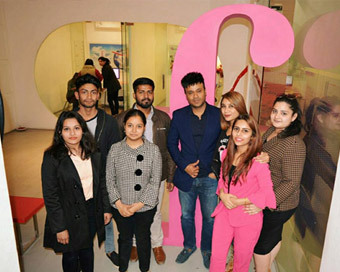 About my experience I would recommend my friends, relatives and others to join Fashionista if they are going for fashion related education because its best faculty and teaching method. The things which had attracted me is the best teaching method and timely action for students. FASHIONISTA - THE GURUKUL, Come here in June 2011 with nervousness, curiosity with cold hands & feet got into the class. Interior designing began with line practicing, thought - Ahh! This is so easy. I am master at it but eventually learned the practicality. From line till practicality the journey was impeccable. Classes, Ma’am, assignments, all these rolled upon my mind throughout. My luck it was that got such an opportunity to accomplish this beautiful journey with different junctions in between. Stage after stage it so happened and now I am here with that attainment and satisfaction. This could never have happened without an R.C.C support (M.D ma’am & Papia ma’am - immense respect to both of U :) ... Not just this but this institution serves a lot of placement offers in Delhi and other States. Got internship placement in leading firm in Mumbai. “Learning till your capable” is the mottos of this organization, the only thing we need to put in is HARDWORK and we are there, where we want. Fashionista is one of the best Fashion Institute I have come across with. The exposure we are getting in this Institute is amazing. The program it is proving us with, is really good. Overall it is the great Institute to be in for gaining knowledge. Fashion Design Student, currently working in Cantabil International as a Manager. Best of knowledge about fashion world is provided by Fashionista and Faculty is so co operative and best according to me. They support all the time when we need them. I have started my own studio.